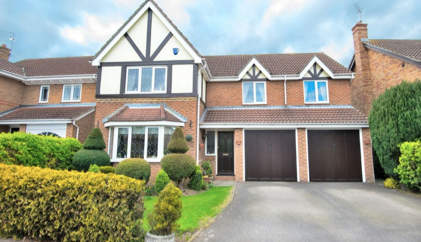 If you are planning to relocate with family or just make a move then here are some of the fabulous family homes we have for sale in Essex and Hertfordshire. The town of Bishop’s Stortford remains very popular with family buyers, especially those who are relocating out of the Capital because not only does it offer under an hour commute into London’s Liverpool Street Station the town also has several outstanding schools and a diverse range of shops from well known high street retailers to individual boutique shops and cafes. 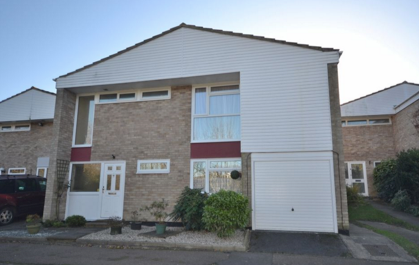 Intercounty Bishop’s Stortford currently has this four bedroom family home for sale on a non-estate cul-de-sac location, just off Stansted Road. Accommodation comprises entrance hall, well proportioned sitting/dining room, kitchen/breakfast room, cloakroom, four bedrooms on the first floor with bathroom and separate wc, garage and driveway parking, terraced South facing garden. The property benefits from double glazing and gas central heating and has an attractive view from the front of the house. Price: £495,000. For more information please follow this link or call Intercounty Bishop’s Stortford on 01279 757250. Harlow is a popular new town in Essex on the Hertfordshire border, lying within the county's London commuter belt with close proximity to the M11 and M25. A train commute is just over half an hour into London’s Liverpool Street Station. Education standards are also good with 17 out of 20 schools being Ofsted rated ‘good’ or ‘outstanding’. 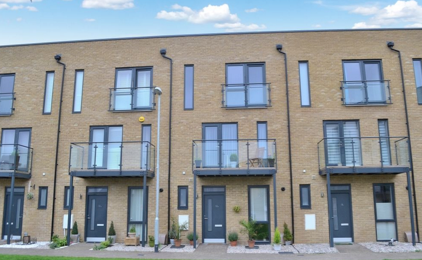 Intercounty Harlow has this four bedroom family house for sale in the sought after Newhall development. The property benefits from views overlooking open green, accommodation over three floors, large kitchen diner, en-suite to master bedroom, Jack & Jill bathroom to second bedroom, allocated parking, modern features throughout and is close to local amenities. A viewing is highly recommended. EPC Band B. Price £415,00. For more information please follow this link or call Stansted Intercounty on 01279 639666. The village of Stansted Mountfitchet offers a direct and frequent train service into London Liverpool Street Station of just under an hour. There are also several good schools in the nearby town of Bishop’s Stortford and two in Stansted. Intercounty Stansted has this large five bedroom detached family home in the popular village of Elsenham. The internal ground floor accommodation comprises two reception rooms, a study, kitchen-breakfast room, conservatory and utility room. On the first floor there are four double bedrooms an en-suite, family bathroom and a further good sized bedroom. EPC Band D. Price £500,000. For more information please follow this link or call Intercounty Stansted on 01279 814400.